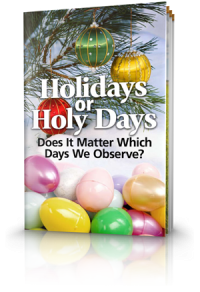 The first Holy Day season, Passover and the Feast of Unleavened Bread are special in that they reveal and describe two major steps a person must experience to attain eternal life. The second Holy Day season of the year (Pentecost) tells us that God is calling firstfruits in this age. He is inviting only some in this present age. The third and final Holy Day season of the year pictures a time when everyone else who has not been called in this age will be given an opportunity for salvation. It is an amazing truth to know that God will give everyone who ever lived a fair and just opportunity to seek eternal life through Jesus Christ. The first season, Passover and Feast of Unleavened Bread, which we are observing right now describes, in a most dramatic and compelling manner, the steps every person must take to achieve eternal life, no matter in what age they are given the opportunity. Again, not every person who is Christian understands this well. 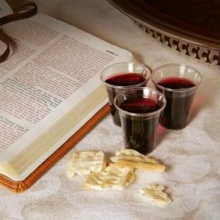 The Passover, as it is carried out in the New Testament, comprises eating the bread symbolizing Christ's body which is given for us, and drinking the wine representing the blood of Christ which is for the remission of our sins. Each and every person must have his/her sins forgiven through this one sacrifice of Jesus Christ. However, he or she must then come out of sin and never return to a life of sin. It doesn't mean that the person will never sin again. We all do, though when we do, it should be sin only committed inadvertently or sometimes though human weakness. When we sin we claim the sacrifice of Jesus Christ to have those sins also removed. The New Testament is clear about this process. 1) we have to repent and accept the sacrifice of Jesus Christ for the remission of sins, and 2) we have to come out of sin by obeying his holy and righteous commands. You just can't do one without the other. Many simply accept Jesus Christ, his death, his forgiveness, but don't go on to change and develop the mind and character of Jesus Christ in their lives. On the other hand some just try to be a better person. They make some changes, but they do not experience the true repentance that comes through the knowledge of the death of the Son of God. Both must be fully realized by the person God is drawing to achieve His purpose of eternal life. Sometimes the aspect of purity (sincerity and truth), which Unleavened Bread symbolizes, takes the form of strange and severe requirements people impose on themselves to be righteous. True righteousness comes in the first instance, because of our faith in Jesus Christ for the removal of our sinful past. Then we must live in obedience to the laws and all the teachings of Jesus Christ through faith. We eat unleavened bread for seven complete days as the command is. This pictures our living by the life of Jesus Christ for our whole life thereafter. Jesus said He will come to us, but not in the way He was with the disciples. He (and the Father) will come and make (their) abode or dwelling in us through the Holy Spirit which He will send. When we truly seek God's presence and power in our lives we are led to know His perfect and acceptable will. 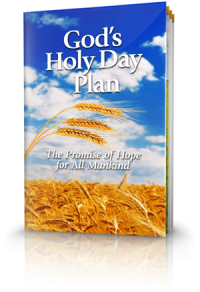 To attain the great salvation God is offering us, we must all experience to the fullest this two-fold process as represented by Passover and the seven days of Unleavened Bread.